2019 looks like it might be a good one for me. We’re less than a month into the year and already one of my wishes has already come true. iBUYPOWER Masters may not have been the most prestigious tournament of all time and it certainly wasn’t the best-run. There may have been delays and technical issues that would have made 2010-era ESL blush. In the end, though, Team Liquid beat Astralis in the Grand Final, accomplishing what very few teams did in the entirety of last year. It was a huge result for a number of reasons, not least of which was Liquid getting a couple of monkeys off their backs. The label of choke artists has followed Liquid around across time, space and roster changes. Hardly anyone remains from the infamous Luminosity defeat that earned the team its unwelcome moniker, but various Liquid line-ups have struggled to cross the finish line since then. But the current version, now featuring Major-winner Stewie2k (remember that?) managed to convert its very first final appearance into a win. Better yet, they converted it into a win over Astralis. Liquid against Astralis was practically the default setting for grand finals in 2018. They met over and over again, and, over and over again, Astralis came out on top. Lifetime, the Danes were 35-8 against the North American team before last weekend. One win in a tournament in January that will be forgotten by March doesn’t do a ton to redress that balance, but it’s a start. More importantly, it should give Liquid some self-belief. The manner of the victory should only add to that. It’s one thing to beat the best team in the world, but to do so from a 0-1 deficit is even more impressive. Indeed, after map one, it looked like another day at the office for Astralis. A 16-4 defeat on Inferno did not bode well for Liquid heading into Dust2. Astralis doesn’t really have a bad map, but Dust2 is one of their better ones. 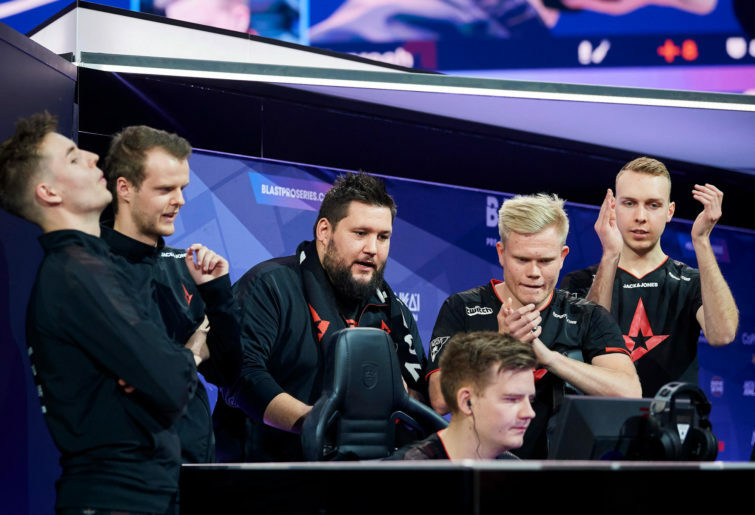 In fact, back in May, Astralis humiliated Liquid 16-1 on the map, but if it’s that or face Astralis’ undefeated record on Nuke – well, you can see the dilemma. Then, Liquid shocked everyone by winning the thing. Newcomer Stewie showed why he’s still so highly regarded despite months of anonymity on the MIBR squad. He led the way for damage per round, kills and was the highest HLTV rated player by a country mile. Clearly, Young Stew is enjoying being back on an all-English-speaking roster. Tellingly, he kept up a similar level on the third and final map – Overpass. While NAF may have picked up the MVP award, Stewie wasn’t far behind, once again putting up the highest average damage even if he didn’t convert it into as many kills as his Canadian teammate. It really was a performance that put the “team” in Team Liquid, though. Only Elige lagged behind the pack somewhat, going 14-16 and claiming the only sub-1.0 HLTV rating on his team but he was far from dead weight. To put those numbers in context, even with a fairly close 16-11 score-line, only Xyp9x put up positive numbers for the opposition. Liquid was better across the board then and, for once, they really showed when it mattered. Astralis actually won the first half of Overpass 9-6 and looked to be doing what they do best: winning tournaments. But Liquid found a level of resiliency that we wouldn’t expect of them, giving up just two rounds in the second half. The rounds were hard-fought, of course, but, on paper, they made it look easy. The win means a lot to Liquid and their fans, but the wider implication is even more important: Astralis can be beaten. We knew this, logically, but to see it happen is another matter. knowing that Astralis’ last tournament game was a loss. Does that mean the Danes go into the tournament as anything but favourites? Well, no. They are still rated number one in the world for good reason, and they now know they can’t get complacent against the rest of the field. The Liquid result is a double-edged sword in that way: the world saw Astralis bleed, but Astralis will want to make sure it doesn’t happen again. This is not a team that rests on its laurels. Liquid’s victory may have been an important one for their own self-belief and that of the other contenders, but it might have been even more important for Astralis.